I'm very excited to share an insight into the work of Jonna Saarinen, a graduate of Central st Martins and the RCA. 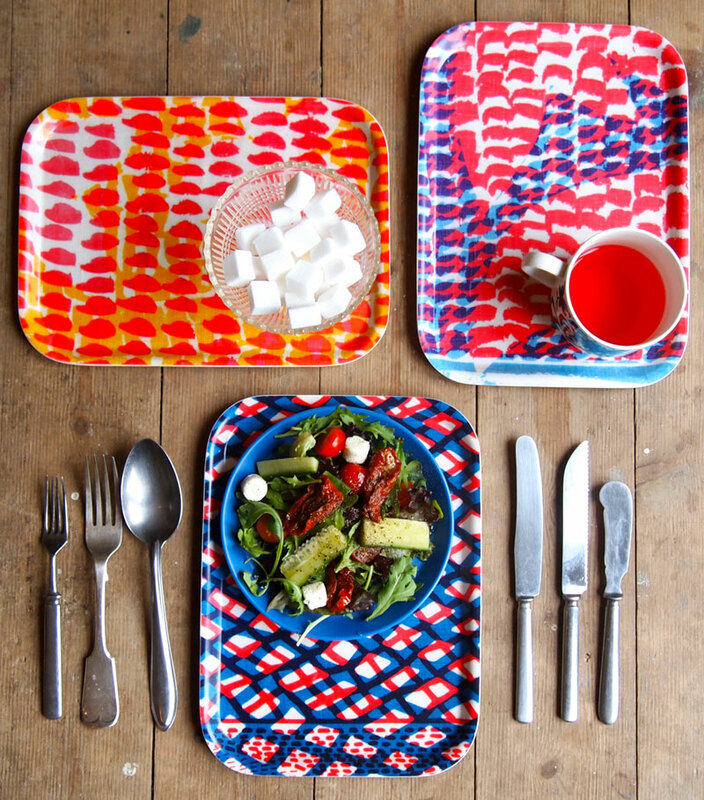 Jonna's work is saturated with colour, vibrancy and very friendly pattern which she sells through her own homewares label. She has recently started a new joint venture with Kangan Arora called Jonnaxkangan. 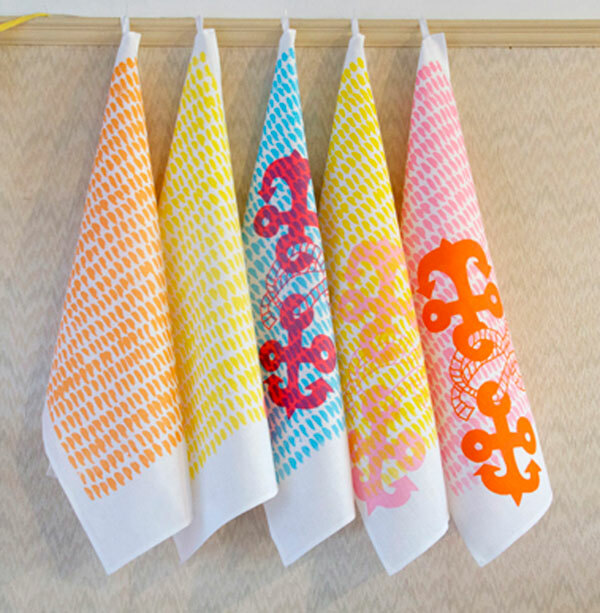 JS I screen print textiles, alongside of stitching, drawing and designing patterns. EC Your joint venture with Kangan Arora for Jonnaxkangan seems like a really successful pairing. What was your interest in collaborating? Is it a way that you prefer to work? JS Me and Kangan have been close friends since we met at Central St Martins back in 2006, and we are both very passionate about screen printing and also have very similar aesthetics.At college we printed next to each other for two years, so this was almost like natural continuation of that. 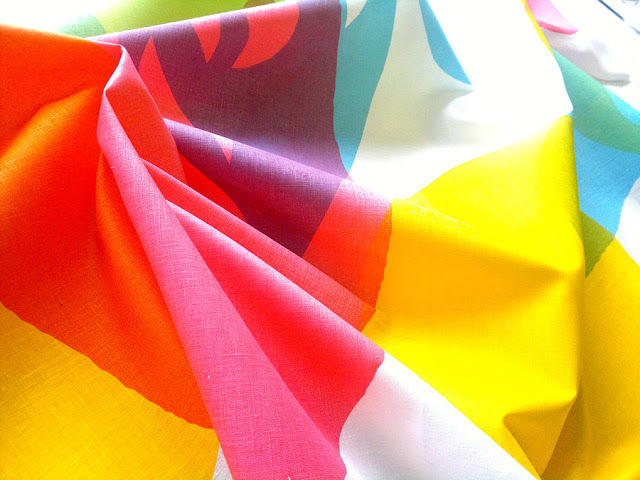 We use a lot of hand cut paper stencils and play around with experimenting colours and screens - working with Kangan is not like work at all, its more like a day out in a theme park! EC Tell me a bit about your work process. Is the making as important to you as the design? JS All my work has started life in my many sketchbooks, I like to keep a few on the go at all times, even though some of my scribbles will never see the light of day. I do most of my designing work in black and white, and in the screen printing stage I wake them up by testing them in different colour ways. For me making has become part of the design process, as I like to improvise and play around with my screens whilst printing. Sometimes something that started life as a printing mistake becomes a design feature, and the end result can be completely different from the original design. JS I'm a big fan of mid-century modern and all things Scandinavian, but my biggest inspiration will always be my late grandmother's mix matched style of woolly socks and aprons. It was the starting point for the whole "Hundreds and Thousands" project (that I am still working with) whilst I was studying at the RCA. JS That's a tough one! But as a Finnish girl I guess nothing could top designing something for our national pride, Marimekko. JS I still use the same set of crayons that were given to me when I started school in 1987. JS Tsuppi (short for 'ketchup' in Finnish), Yellow R, anything round, Tove Jansson and garden peas. which will be part of London Design Week at the Material Lab in London (from Monday 17th Sept to Friday 9.00-5.30). Thanks to Jonna for sharing her thoughts and work. If you like it and want to find out more have a look at her website here and the Jonnaxkangan site here. 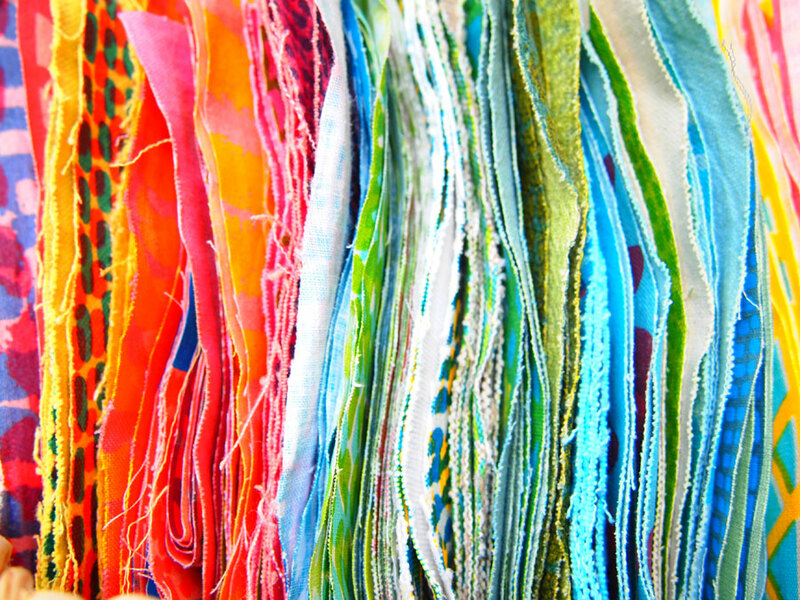 Lovely interview Esther, I will link to it over on the patternbooth blog, it's right up my street. 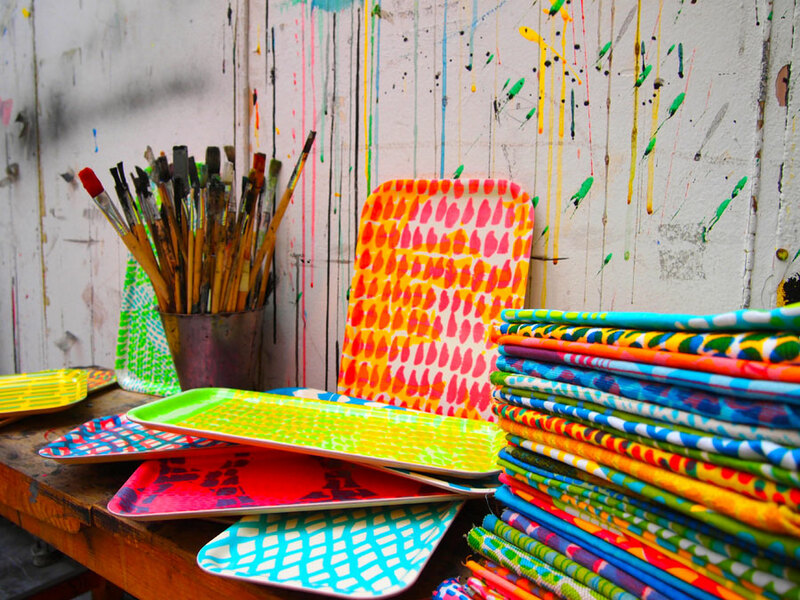 Amazing interview, I love their work and am now coveting one of those trays! Your blog is ace, it is firmly at the top of my favourites list. Always waiting to see what you post next. Very exciting! Great interview and I love those trays too! Love the trays and textiles...very good feature Esther! What a Fabulous Feature. Thanks for Sharing! LOVE the trays as well! Fabulous interview!